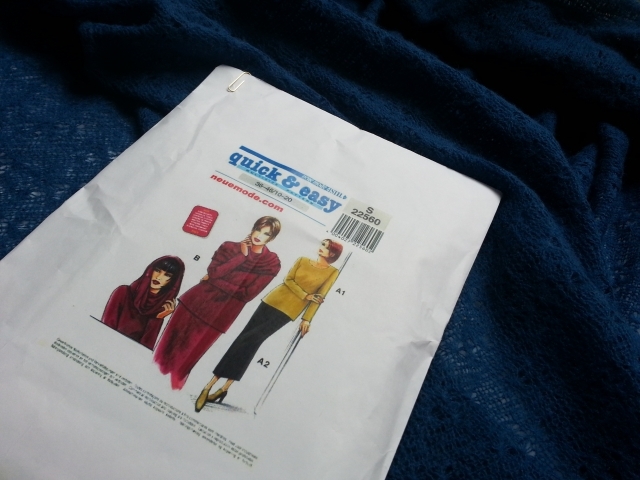 I've been on a mad quest of late, looking for commercial sewing patterns without the seam allowance included. Like other patterns I've found suitable sweater knits, this pattern also had to be simple in shape. Since the sewing pattern will be used in a class I'll be teaching at a studio here in NYC (more about that another time), I also wanted the pattern to be pre-printed. The folks on Pattern Review came to the rescue recommending a bunch of sewing pattern companies -- European and one South American. In the end I chose two patterns from Neue Mode, a German company, which seems to have relocated to California or maybe has a distributor there. The patterns arrived in two days! Though I really love View B, at the moment I'm "auditioning" View A1 with the fabric pictured. The fabric is a tuck jersey, not of my design. 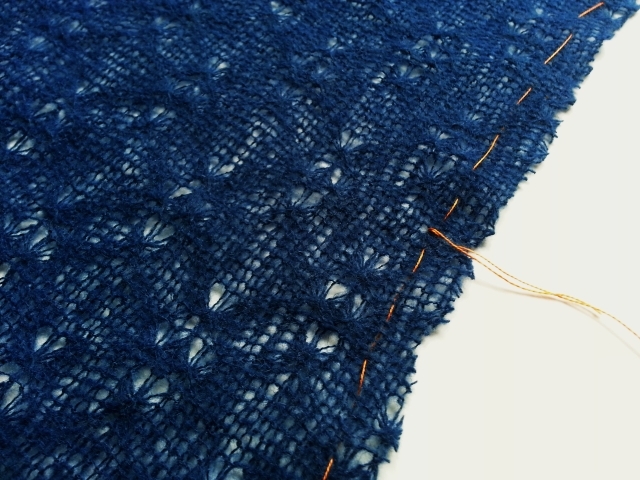 Though it's an openwork fabric, it doesn't fray or run easily, because the fiber is "brushed" and a little fuzzy. The Neue Mode pattern has a slight contour at the waist, which I like. Though the pattern includes pieces for facings, I'll be finishing the edges with self-binding and bands instead, edge techniques which are good to know for sweater knits. This pattern is drafted with the front sleeve cap and the back sleeve cap shaped differently, something that usually produces a better fit, though I haven't seen that shape in patterns for knits lately. Another bonus is that the pattern is printed on a kind of waxed bond (?) paper. Even though I've traced the pattern, I prefer working with this weight paper as opposed to tissue paper. I've cut the fabric flat, single layer, no placing pieces on a fold. The other pattern I ordered form Neue Mode has a closer fit and a bell bottom sleeve variation, one from their "Young Collection". Ha! Looks fun. I'll try it another time.